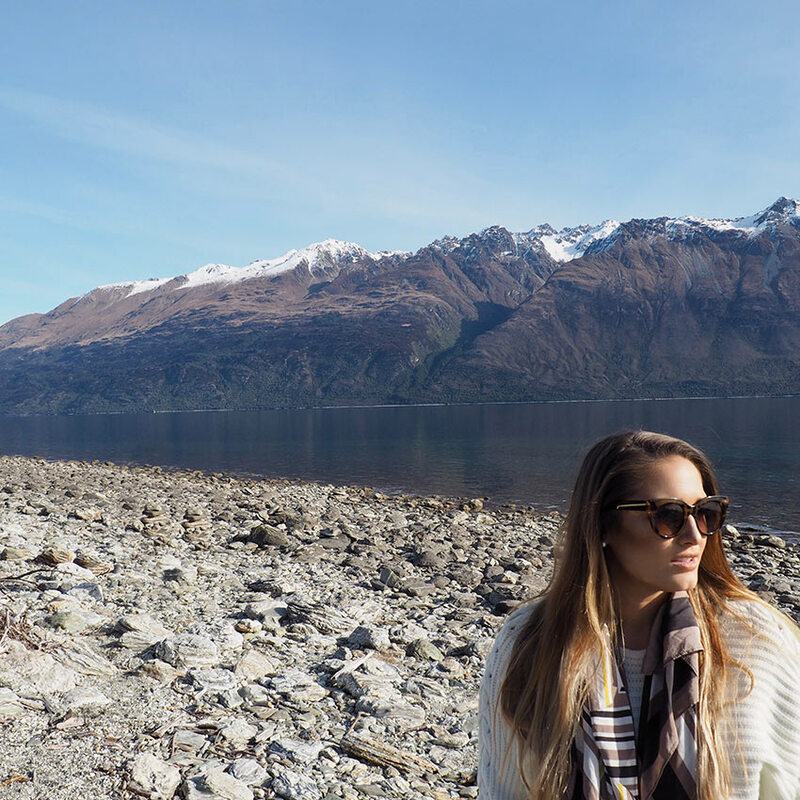 Ticking off my 27th explored country, I recently got back from Queenstown, New Zealand AKA adventure capital of the world. 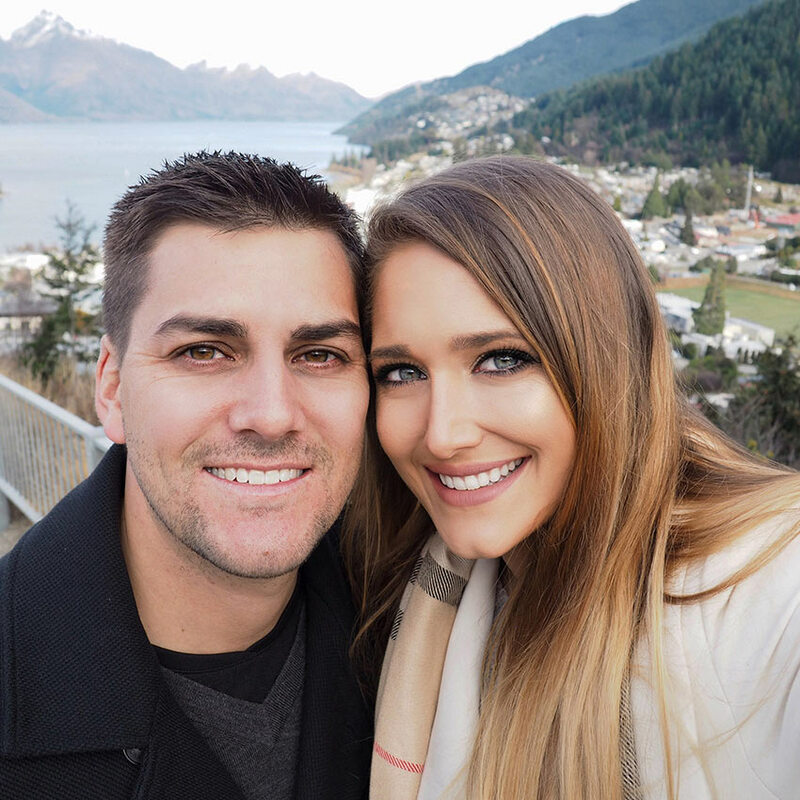 Queenstown sits on the shore of crystal-clear Lake Wakatipu, surrounded by snowcapped mountain ranges and can I say the photos do not do it justice! Whether you are craving a thrill or feel like rejuvenating, it has something for everyone. 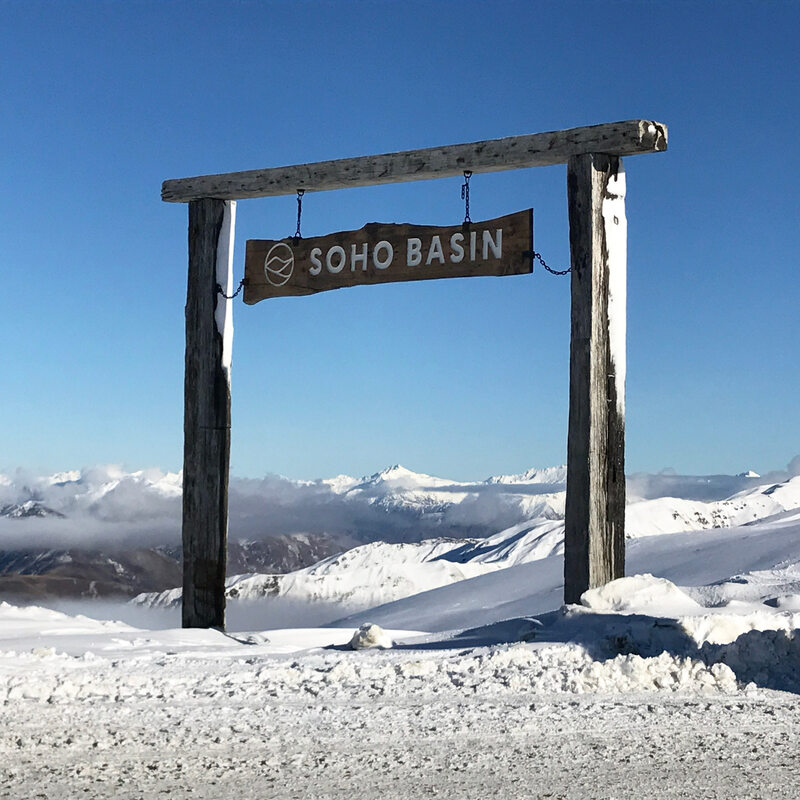 While it may only appear to be a small resort town, Queenstown offers four ski fields, 75 vineyards, five international-standard golf courses, a cosmopolitan restaurant and art scene or spoil yourself with a trip to the spa and hot pools. Not to mention all your adrenalin needs – skydiving, bungee jumping, paragliding and shotover jet, just to name a few. I don’t think it’s possible to get bored! 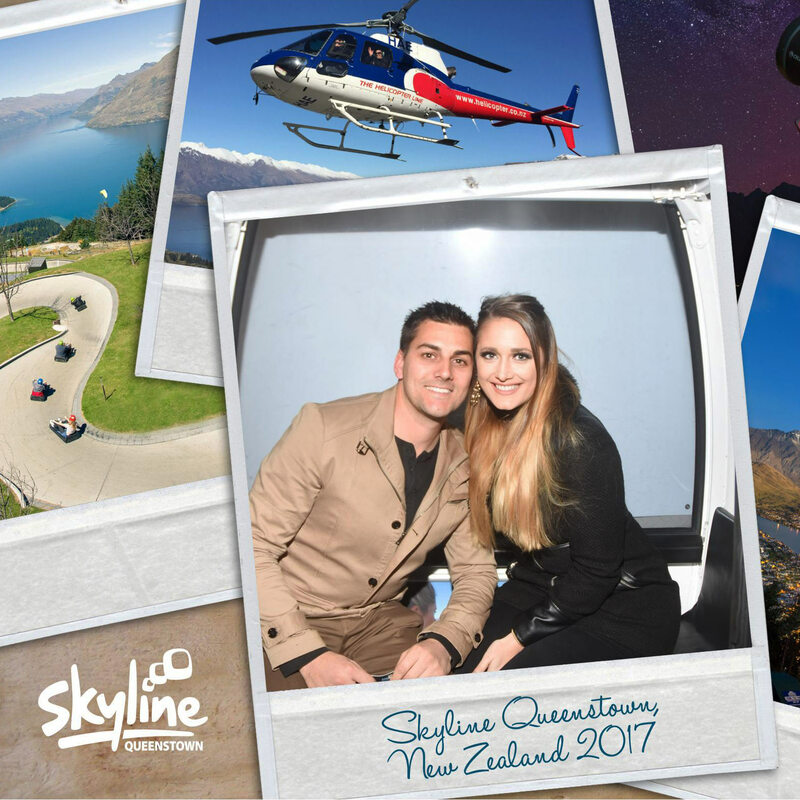 The landscapes around Queenstown are some of New Zealand’s most breathtaking and are best seen from the air. 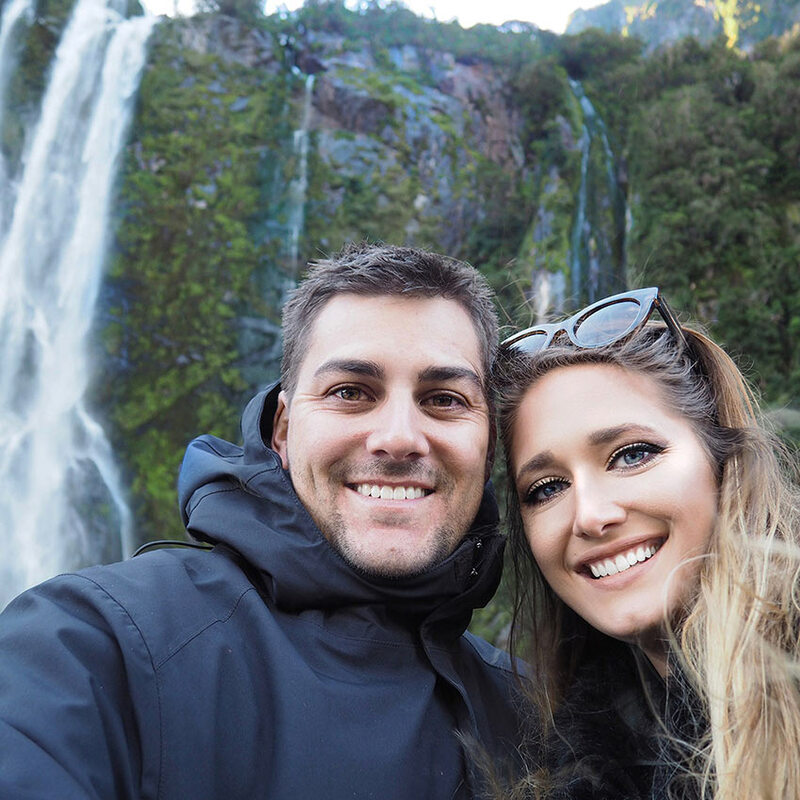 Ben and I chose Glacier Southern Lakes Helicopters to experience this amazing World Heritage Area and it turned out to be the highlight of our trip! We flew over mountains, stunning fiords, glaciers and clear-blue lakes before landing on the stunning Mt Tutoko glacier in the heart of Fiordland National Park. It was an experience of a lifetime and more beautiful then one could ever describe! 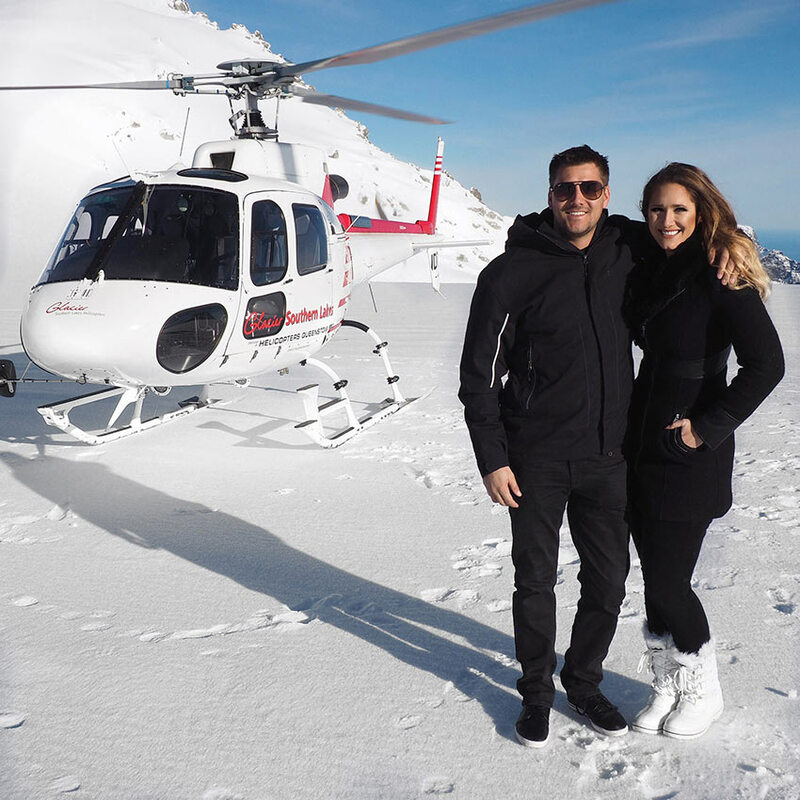 Ben is not a big fan of helicopters (I guess I’m not particularly either) but our pilot was highly experienced with extensive knowledge of the local mountain environment and our helicopter very modern so we felt safe. Plus with such spectacular views, giving you real perspective on the geography and layout of southern New Zealand, we were pretty distracted. Shortly later we flew to another air strip and boarded our Milford Sounds cruise boat to enjoy the scenery on the water as well. We ate lunch while passing luscious forests, pristine lakes, gushing waterfalls and jagged cliffs. We even spotted some seals. After you don’t think you could possibly take any more photos or say ‘wow’ once more, our helicopter picked us up and took us back to Queenstown. I couldn’t recommend this enough. 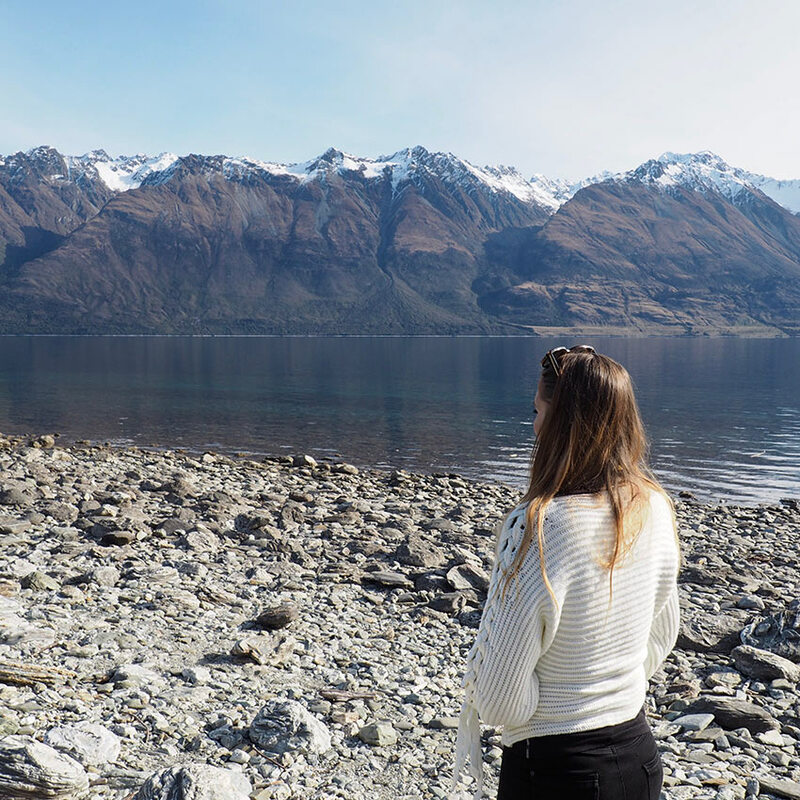 While it was the most expensive part of our trip, I found Queenstown overall quite cheap and this is well worth it! Tip ~ Our flight was rescheduled because of bad weather so I recommend booking it early into your trip to ensure you don’t miss out! Plus who wouldn’t prefer to go on a perfect day like we ended up with! 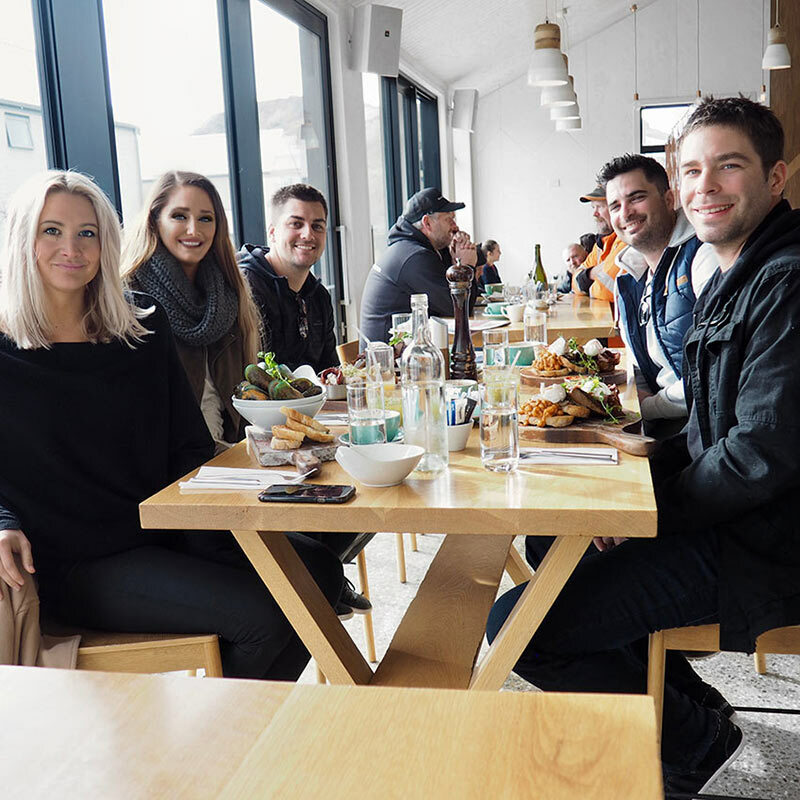 Graze, the most stylish breakfast/brunch restaurant we visited, can be found in the heart of Lake Hayes Estate, slightly out of the centre of Queenstown. The ambience is warm and welcoming and the service top-notch. Even the kitchen staff had wonderful attention to detail, as you will see from the photos below of our beautifully presented meals. Graze offers a scrumptious range, packed full of flavour. 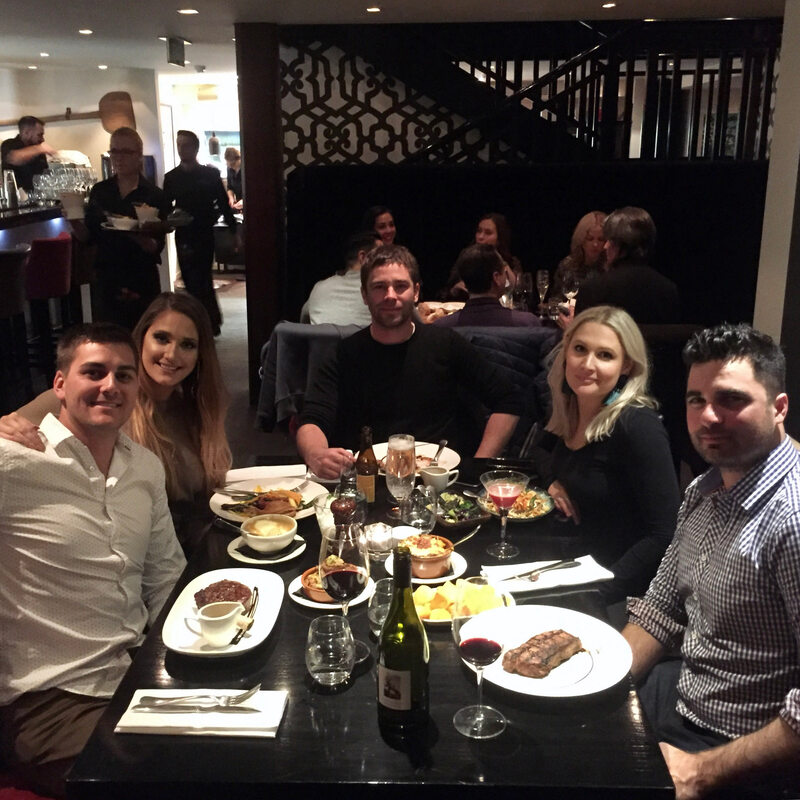 Serving both counter food and a full a la carte menu; accompanied by cold pressed juices, smoothies, quality coffee and a great wine and beer list. I chose the Shakshouka (eggs, tomato, flat bread, za’atar, toast, feta, chorizo) and it was one of the best I’ve ever had! Not one of us could fault a single dish. So make sure you stop by! While Queenstown is generally done at full pace, their only indoor-outdoor hot pools, Onsen Hot Pools lets you take a step back to take in the beauty of the surroundings and simply relax. 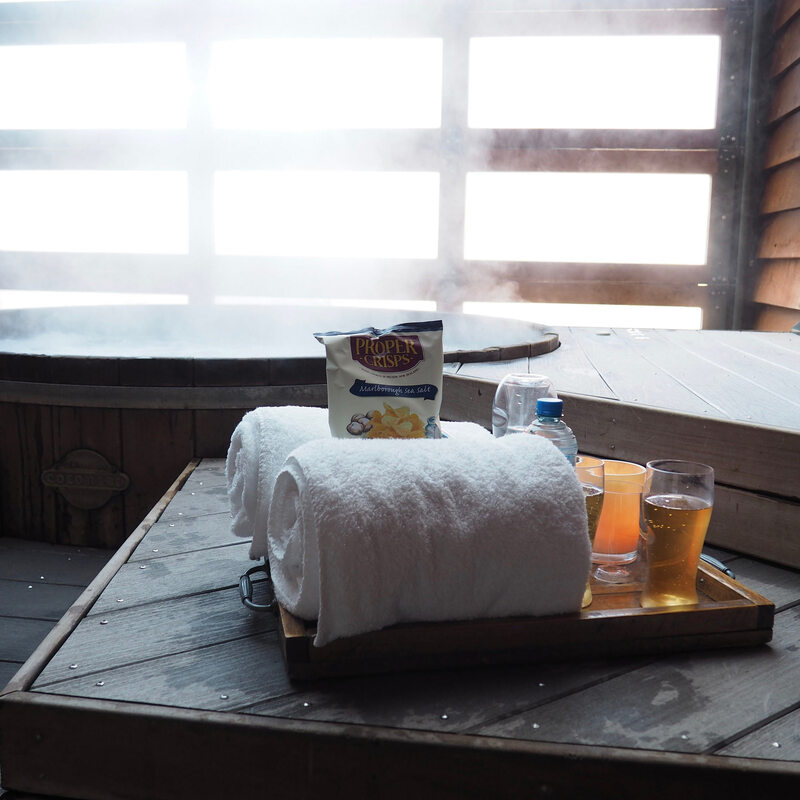 Only 10 minutes from the town centre, located high on a cliffside, their Cedar Hot Tubs are heated to 39.8C during winter. The natural setting is matched by the pure water used to continually fill and refresh the pools. 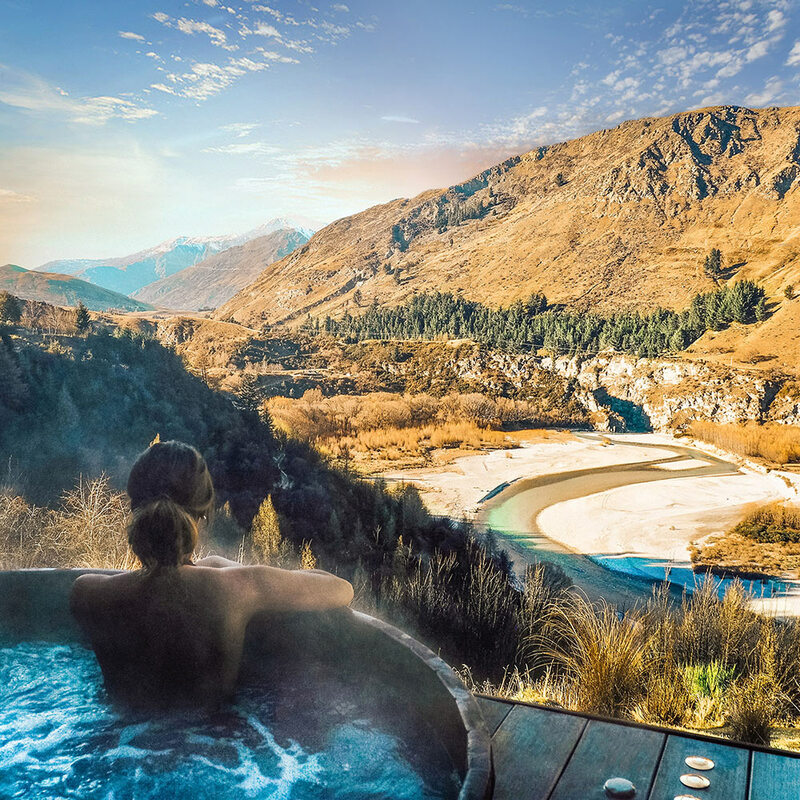 With uninterrupted views across Shotover Canyon, Onsen Hot Pools will soothe all tired muscles and make anyone relax. Ciders in hand, Ben and I used the perfect vantage point to watch the Shotover Jet jetboats on the river below. Utter bliss! About as good as it gets, right? 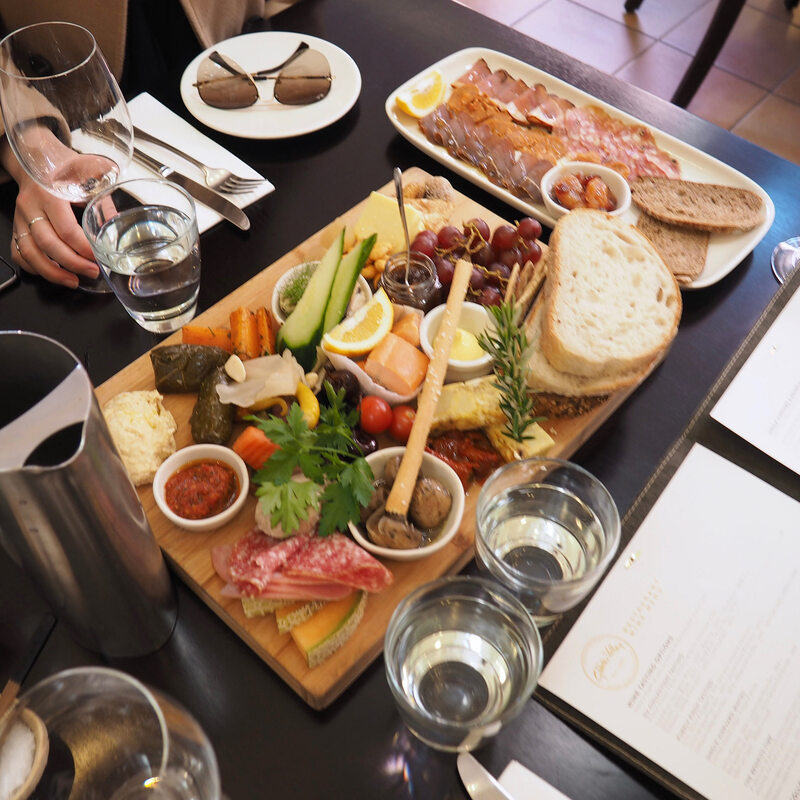 Queenstown is known in particular for its Pinot Noir but there are over 75 wineries in the region providing a wide range to try. 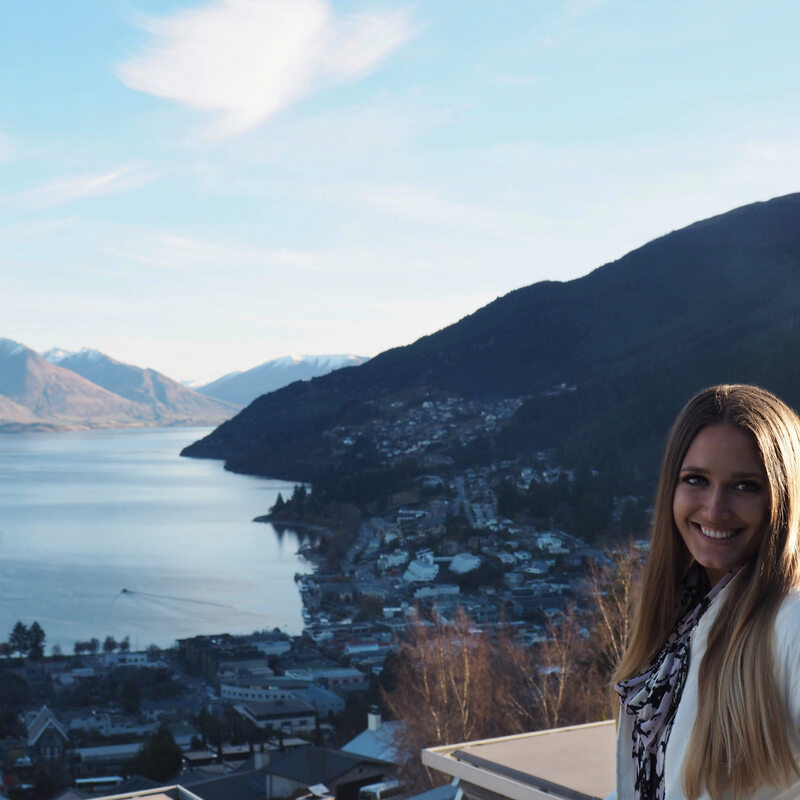 As is the rest of Queenstown, the winery views are spectacular and well worth seeing. Get out and soak up the fresh country air! 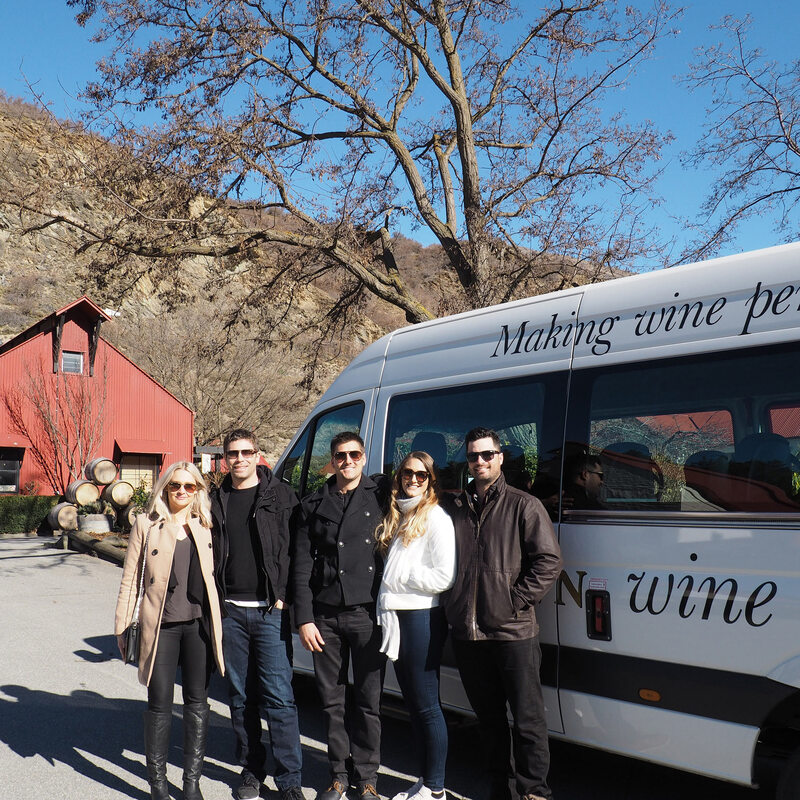 We all decided on Queenstown Wine Trail’s Original Tour which is the perfect tour for novices and seasoned wine enthusiasts alike. We were picked up from our accommodation and taken to four local wineries and at the first, an underground wine cave. 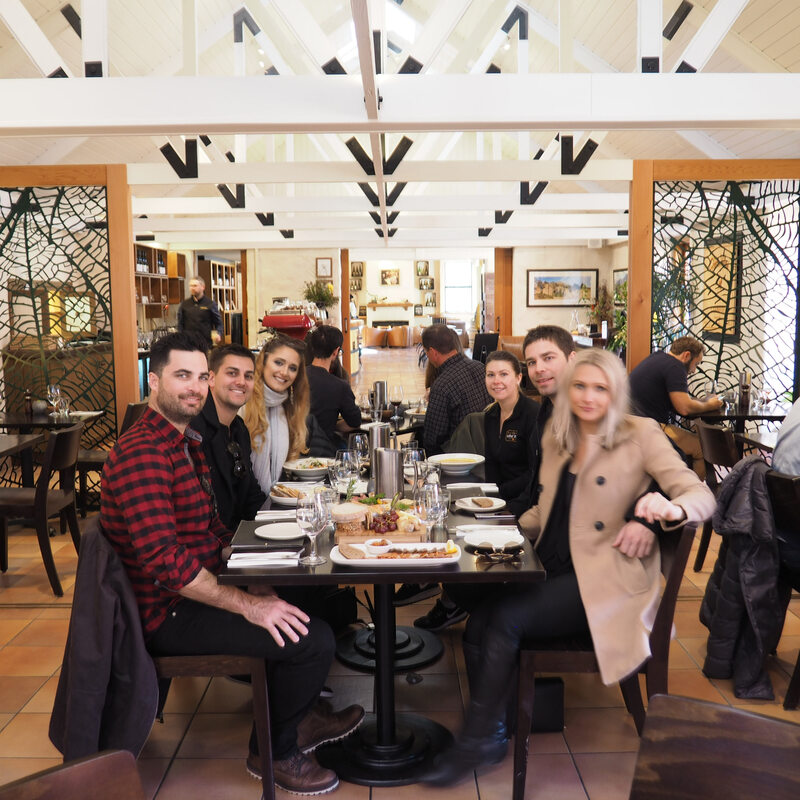 Also at Gibbston Valley Winery we had the option of stopping for lunch, which we eagerly took up. We had a variety of cheese and meat platters, soups, pastas and breads. We were also lucky enough to try Mt Rosa’s delicious mulled wine. 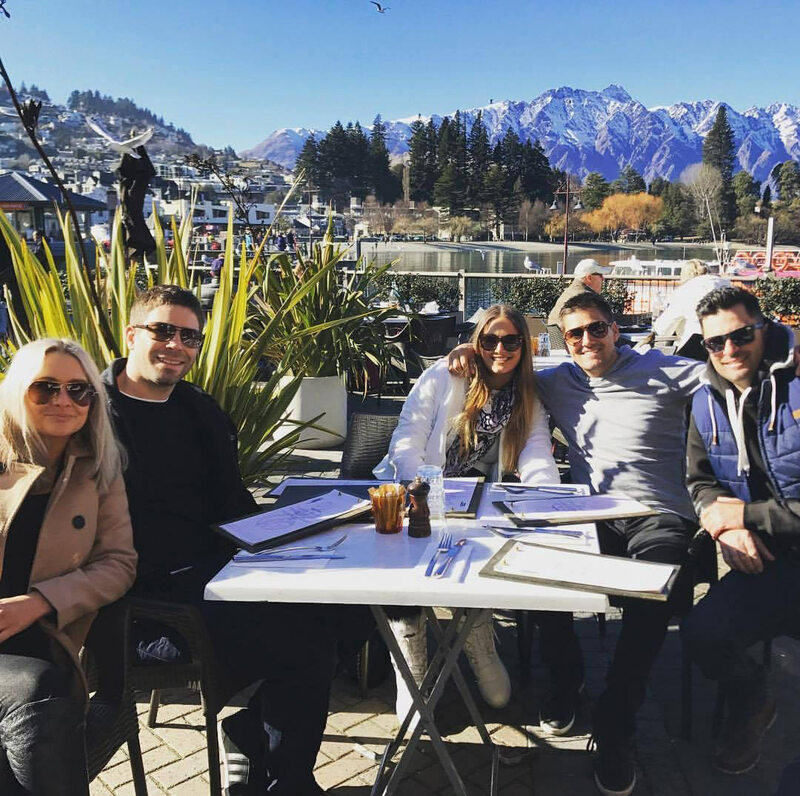 You can purchase it in several bars and cafes around Queenstown if you do not get the opportunity to visit. All in all, a delicious and educational afternoon! 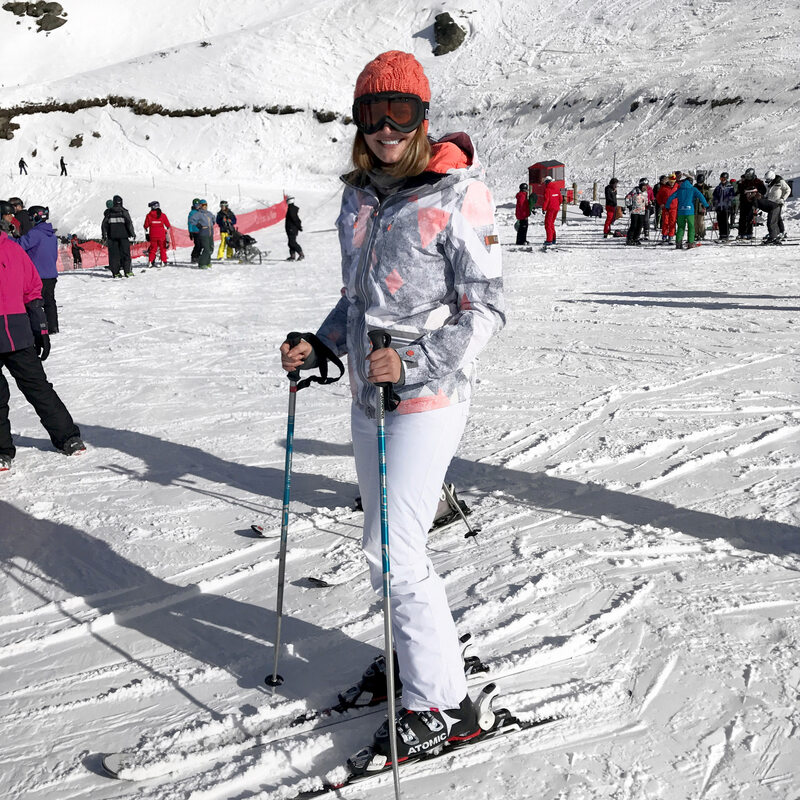 Although this was my first time to the slopes, those I traveled with, who are experienced skiers and snowboarders, were also really impressed with Cardrona. It offers slopes for all skill levels, several chair lifts and beginner conveyors for those newbies like me! 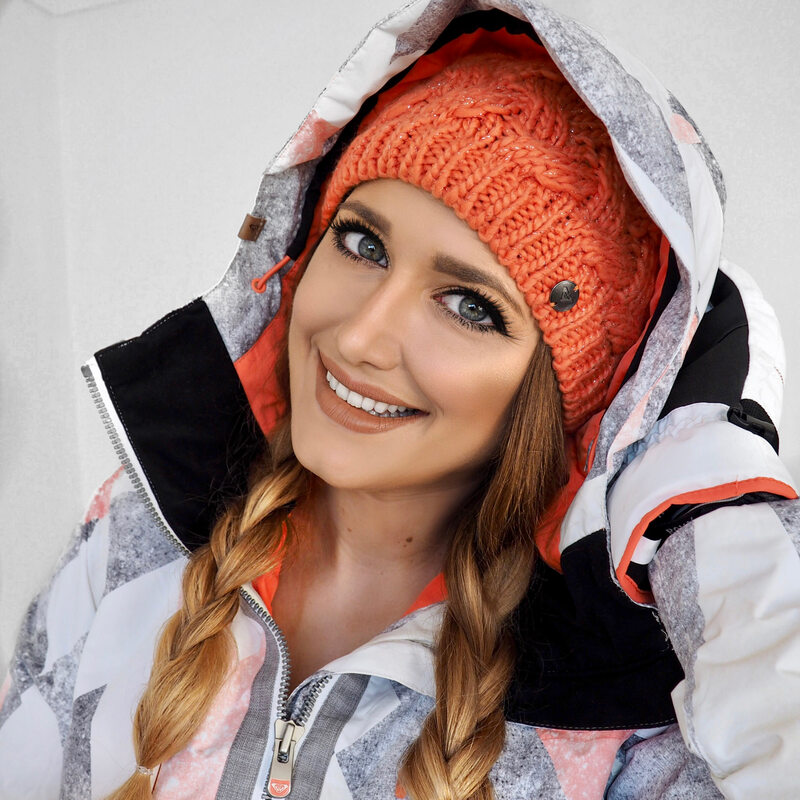 You can venture straight out to the slopes if you like, but if you’d prefer a helping hand, then there are group and private lessons available. I went with the group lessons as they’re substantially cheaper and I didn’t think I’d need one-on-one help. They had a great deal, $145 for all day group lessons and ski rentals. I didn’t use helmet though, I believe that’s extra. 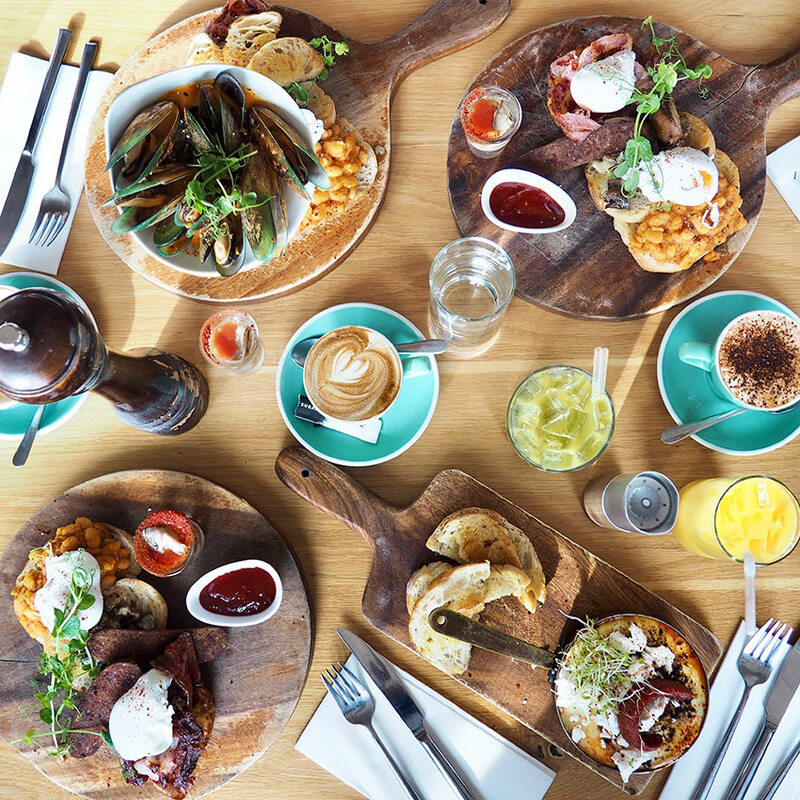 There’s plenty of food and drink options at the café and bar and I recommend getting up there early if possible so you can park nice and close to the top and avoid long queues. 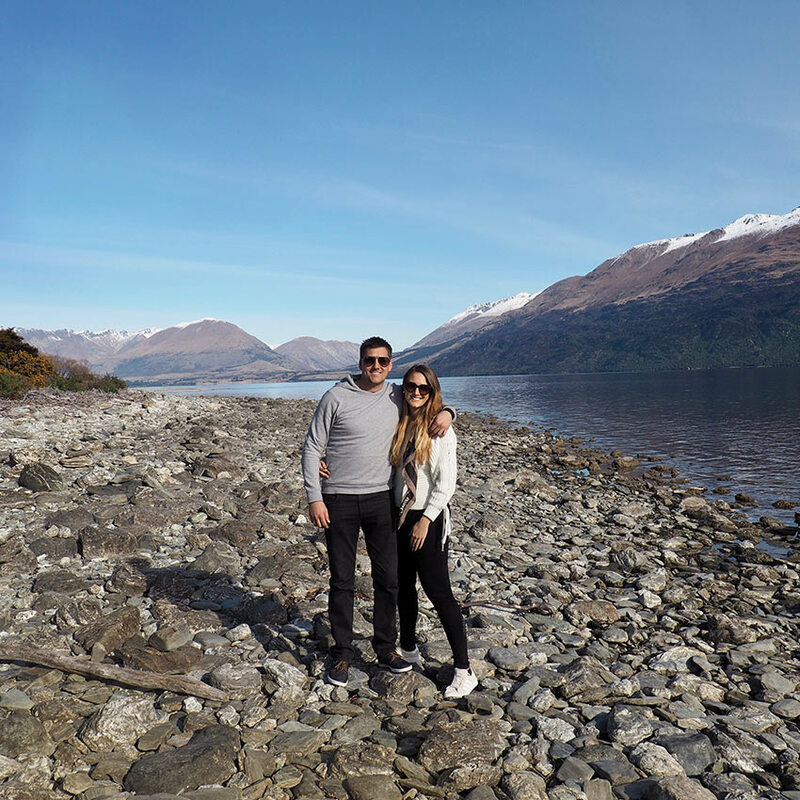 Make sure you take a drive out to Glenorchy and make some stops along the way! It’s absolutely stunning! Grab dinner at Botswana Butchery. 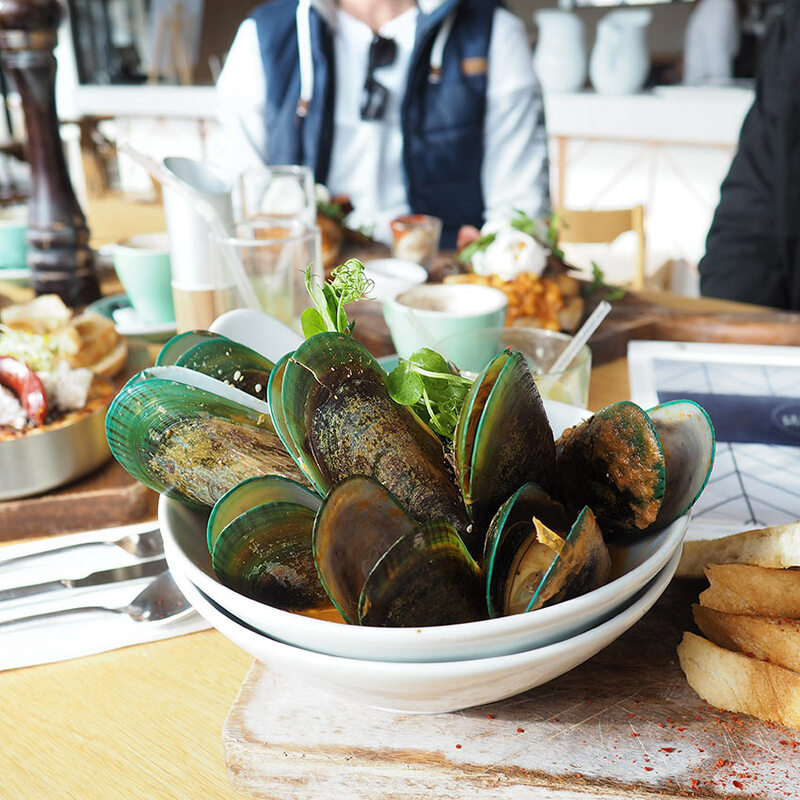 Best dinner in Queenstown. I ordered the Peking Duck Pancakes, Rabbit Confit Pie and a few cocktails. An absolute must do! Shotover Canyon Jet Boat – Need a thrill? These experienced drivers get so close to the rocks, you think you’re sure to hit! Of course stop by Fergburger for a fix, even for the fact everyone will ask you if you went! Don’t forget to check out Fat Badgers for a your 20″ pizza fix and some cheap drinks! Hi! 🙂 You definitely should! But it’s so hard when there are so many new exciting places to visit!